The kids are in bed and your husband has his nose in the computer. guaranteed-to-work-fast (and way cheaper than a massage) products. Soak it up! 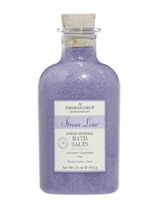 Add these lavender, chamomile, and sage oil bath salts to a tubful of warm water for a deep relaxation treat. 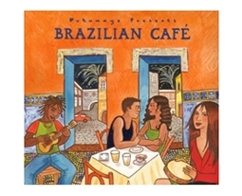 Pop in this CD and instantly escape via the soothing beat and lilting voices of Brazilian music. The soft, warm scent of this candle will bring a calming vibe to your preferred nook--whether it's a corner of your sofa or your bedroom. Cozy up with a magazine in these comfy super-soft flannel pants with an elasticized waist. A little before bed, make yourself a cup of this herbal tea. 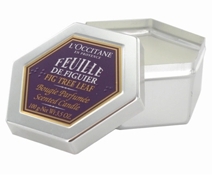 It’s infused with ingredients—organic rooibos, chamomile, passionflower and valerian—that promote restful sleep. Milena Damjanov is a writer and editor based in New York City who contributes to magazines, newspapers, and websites including Health and CeciStyle. ThreeJars does not profit from nor have any relationship with the companies cited above. We just think they’re great for relaxing after a long day!